The United Nations' top human rights official, a sharp critic of US President Donald Trump, declared Wednesday that he will not toe the line to seek re-election in his post. 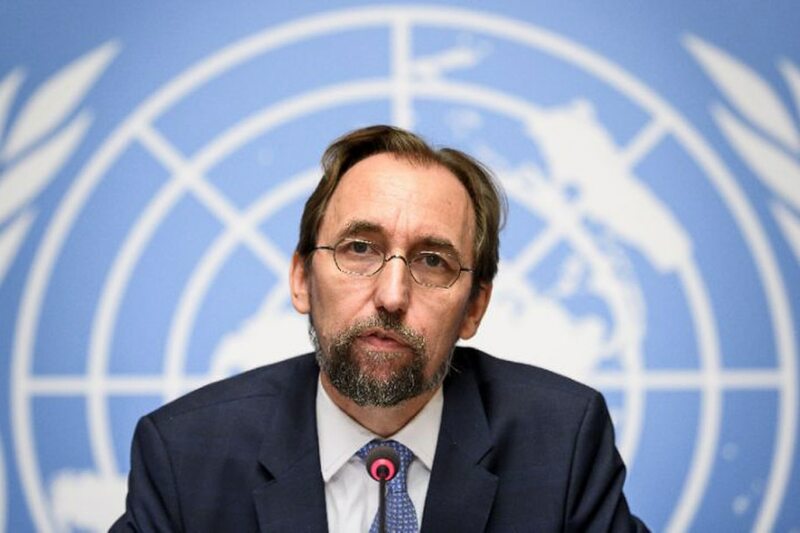 Zeid Ra'ad Al Hussein, the UN High Commissioner for Human Rights, told staff in an email he would not bargain away his agency's integrity when his job comes up for renewal in August. Earlier this week, in an interview with AFP, the Jordanian prince had rejected the idea of "wheeling and dealing" with political players to secure a second four-year term in Geneva. And in an email to staff, seen by AFP, he wrote that "in the current geo-political context," to stay "might involve bending a knee in supplication; muting a statement of advocacy." Zeid did not mention Trump by name, but he has reportedly been under pressure from UN Secretary General Antonio Guterres to tone down his human rights criticism of Washington. Even as Zeid's email became public, Trump was threatening to cut off US funding to countries that vote against his Israel policy at a UN General Assembly emergency session on Thursday. During Trump's election campaign, Zeid had blasted the political newcomer's populist promise to ban Muslims from visiting or migrating to the United States "grossly irresponsible." But, even under a skeptical Trump, the United States remains the single biggest donor to UN coffers and Guterres has been keen to develop ties with the US ambassador to the body, Nikki Haley. Haley has had some success working through the UN Security Council in imposing new sanctions on the North Korean missile program and in seeking reform to peacekeeping missions. But Washington has found itself isolated on other issues, most recently over Trump's decision to pre-empt the Middle East peace process by recognizing Jerusalem as Israel's capital. On Tuesday, the Security Council voted 14 to one to repudiate the US move, leaving Haley in a vengeful mood ahead of Thursday's vote of the full General Assembly on the same issue. "We will take note of each and every vote on this issue," Haley warned fellow envoys in a message seen by AFP. On Twitter, she posted that "the US will be taking names." In Washington on Wednesday Trump warmly endorsed Haley's tough talk and added a twist of his own, implying that US would cut funding to countries that vote against the United States. "They take hundreds of millions of dollars and even billions of dollars and then they vote against us," Trump said.